Last night I grabbed a few groceries after Isaac’s swimming lesson. The boys were fractious but it didn’t stop Elijah flirting with a lady working at Woolies. She paused, played with him a moment, commented on his cuteness and said to me “You are so lucky”. Perhaps I imagined sadness in her eyes and a wistfulness in her voice. I wondered if she had been affected by loss or infertility or a life that ended up in different place to what she had hoped for. I thought about asking, but I didn’t. I thought about telling her I could be luckier and have all my three boys with me, but I didn’t. In that particular moment, with dinner, bed and bath time pressing against us, I didn’t feel particularly lucky or grateful. But I know I am. And perhaps I needed reminding. I view “lucky” with a different lens after loss. I feel lucky that we had fourteen days with Xavier. I know that not everyone gets that much time with their little one. I feel lucky that he held onto a glimmer of life for twenty-four hours after we found him without breath. A day is longer to say goodbye than many people get. I feel lucky that we were so well looked after by the Mater and the beautiful social workers there. I feel lucky that I found a group of bereaved mothers who understood and understand me. I feel lucky that I have been given space and support and permission to grieve. I feel lucky that I have this place to remember Xavier and write in his memory. I feel lucky that I have the words to write. I feel lucky that Xavier’s memory is held precious by so many dear to me. I feel tremendously lucky that I have two living children to hold and kiss and adore. Before losing Xavier I had a different view of luck. I didn’t really believe in it. Someone would tell me I was lucky and I would respond with a glib “Yep, and the harder I work, the luckier I become.” I had a perception that you made your own luck and that bad luck was generally predicated by bad choices. Age and experience has taught me that life is not so tightly controlled. That fate can be cruel and that luck plays a larger part in my life than I might like. 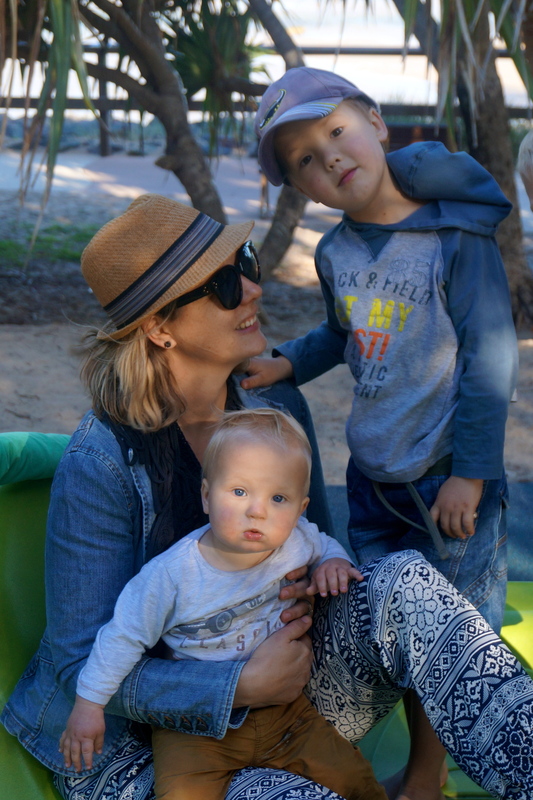 I look at my darling boys and I know, I am incredibly blessed and I am very lucky.